My (2nd) recap from Lollapalooza Day 1 (Thursday) because I accidentally deleted the original while trying to "fix the post" while riding the bus to Lollapalooza on Day 2. I too am celebrating my 25th anniversary of Lollapalooza. I was at the first Lollapalooza in 1991 when I was 9 years old (x2). The music festival has not been produced for 25 consecutive years, but I have been to nearly every Lollapalooza that has been produced. And now it is Lollapalooza 2016. It Rained. And Then It Rained Again. It's Ok, we didn't mind. A little rain isn't going to change the fact that it's summer, there's music and we're alive. You didn't hear a lot of complaints about the rain on Thursday. Thursday was a day of walking. 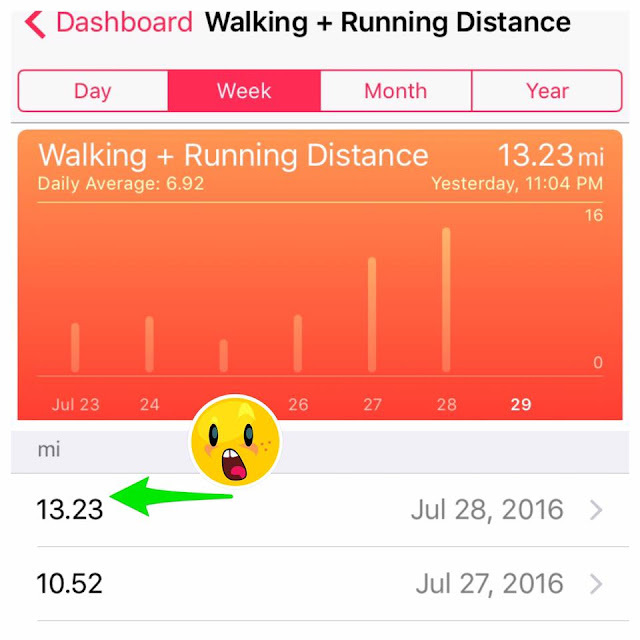 I did a half-marathon at Lollapalooza, apparently. My step counter - 13.2 miles walked at Lollapalooza! It looks like this man is disciplining his child but he's not, they're dancing together. This was a common site on Thursday. Lots of parents with their tween-aged kids dancing together. I loved it. I hope my friend and her tween can make it on Saturday. My parents took me to concerts from the time I was 11. I liked music and was too young to go to concerts alone, so my parents took me until I was 16. I went to A LOT OF CONCERTS my parents have probably seen more bands than you'd imagine! I always thought if I had kids I'd bring them with me to concerts and I am glad to see that so many people do. Read my other Lollapalooza posts here!